Sauté some garlic, chilies (set some aside), on high heat in sesame oil. then add the ground pork. After it browns add some black bean paste, a splash of soy, and then chicken stock. Let it simmer for about 15-20 minutes. Bring some chicken stock, water, anise seeds, garlic, and lemon juice to a simmer and add medium chunks of skinned sea bass. Poach for about 10 minutes. Add a little grape seed oil, rice wine vinegar, salt and pepper and stir. Put down the pork with some sauce, then the arugula and then the fish. Top with a little more sauce, then scallions and chili peppers. 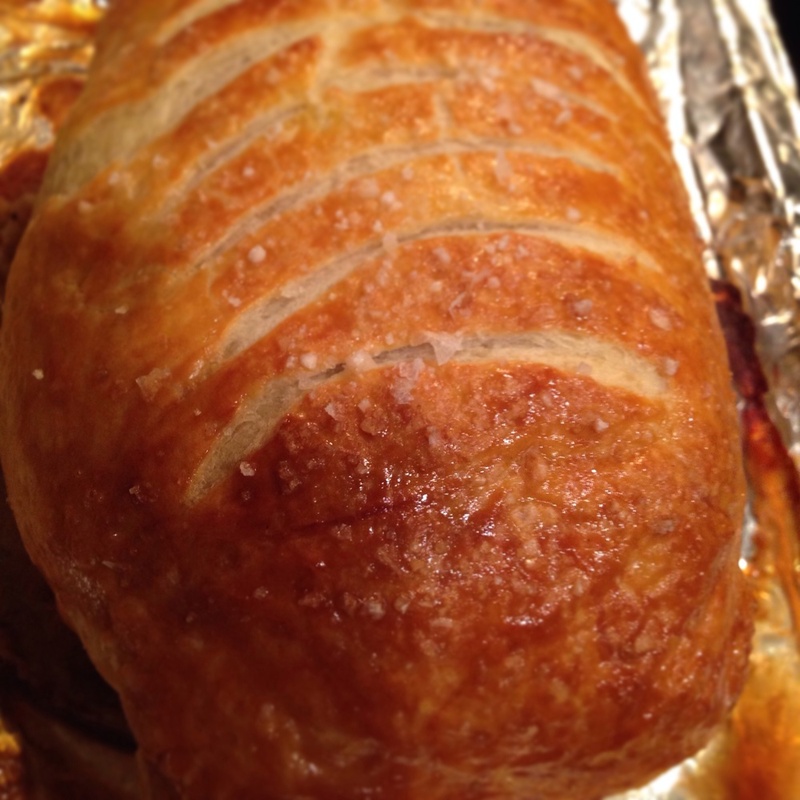 Decided just to give a couple or more challenging things a try – Wellington and Demi Glacé. 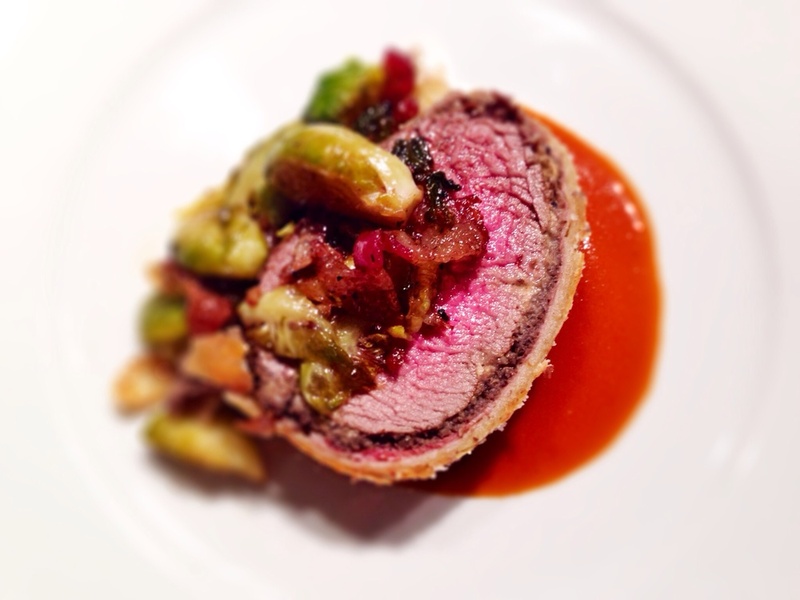 Both pretty traditional Wellington and Demi glacé plated with roasted brussel sprouts. Had too much kale… so.. why not. Some kale, olive oil, garlic, vinegar, lemon juice and salt. Coarsely chopped kale cooked in a béchamel sauce. Cooked cubed potatoes in milk, drained when soft and blended with butter and salt. Trimmed the fat and cut meat from the bone (save those! ), coated with salt and pepper, seared with grape seed oil. Cooked some diced shallots in a good amount of butter and then added flour. 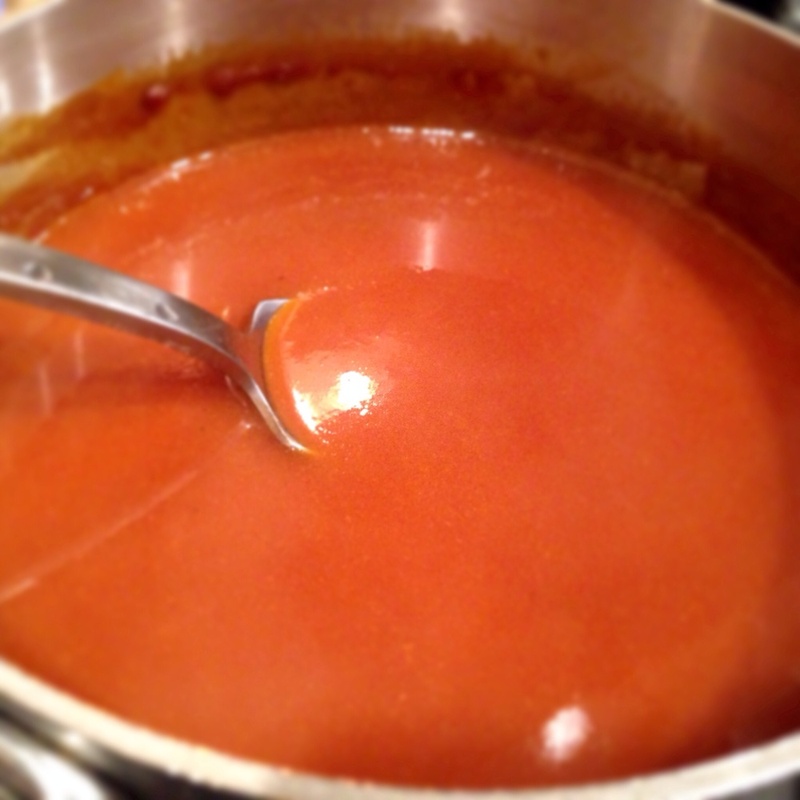 Then added chicken stock to desired thickness. Then added red wine, a few splashes of soy sauce. Simmer with fat and bones for a while. Salt and pepper to taste. Slice and coat with oil and salt and pepper. Bake in a 400º oven for about 20-25 minutes. Corsley chopped, braised in chicken stock on low-medium heat for about 15-20 minutes.